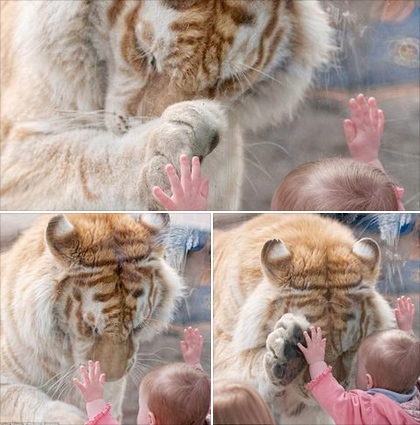 These breathtaking photographs capture the remarkable moments when a tiger bowed its head and placed a paw up to the hand of a small girl. 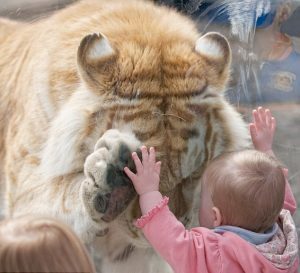 Dyrk Daniels noticed the 370lb Golden Bengal Tiger had taken an interest in his child, who was leaning against his glass enclosure. 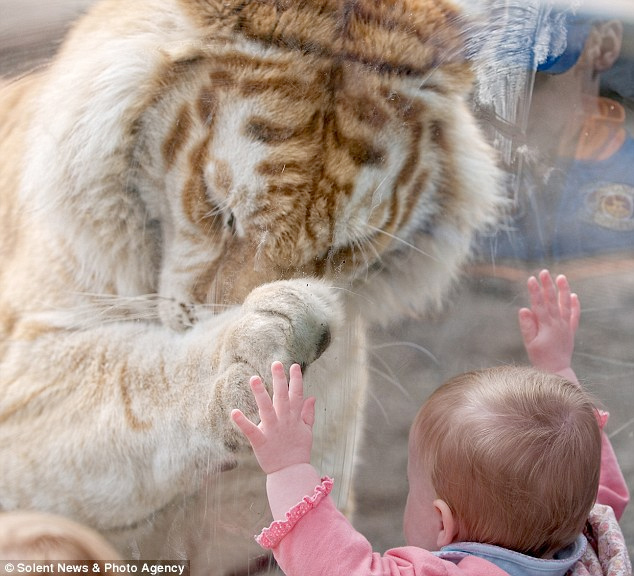 Father-of-two Dyrk Daniels, 47, went to Cougar Mountain Zoo in Issaquah, Washington State, to photograph the Bengal tigers. When he got to the enclosure there were several children and families in the area, so he decided to let them see the tigers first before he tried to photograph them himself. ‘I noticed that Taj had taken an interest in the girl and was heading towards her. ‘I thought for certain that the little girl would need therapy after the encounter and fear cats for the rest of her life. ‘I could not believe my eyes when Taj approached the girl, bowed his head and then placed his huge right paw exactly in front of where the little girl’s left hand was. Far from being scared, the little girl was so excited that she started clapping as she walked back afterwards towards her mother. ‘I have never seen such tenderness from such a large predator,’ Mr Daniels said.